In Belgrade, swimmers dived into the Danube and Sava rivers to retrieve a wooden cross in a ritual of purification. 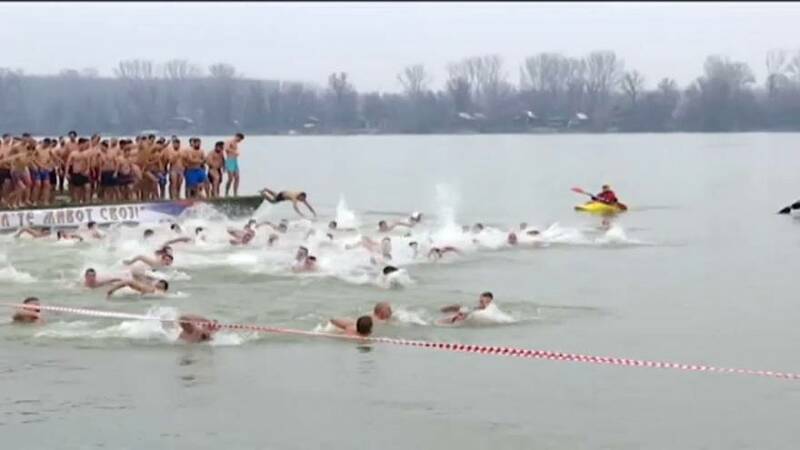 This year, in Belgrade's municipality of Zemun, traditional swimming had a charity character. The winner was 18-year old high school student Jovana Leposavic, who battled cancer 4 years ago and won. For Orthodox Christians the feast of the Epiphany (or Theophany), which takes place on January 19 and commemorates Christ’s baptism in the River Jordan, is celebrated with a blessing of the waters. On this holy day, participants in the traditional Swimming for the Epiphany Cross brave below-freezing temperatures and plunge into ice-cold lakes and rivers to retrieve a wooden cross in a ritual of purification.